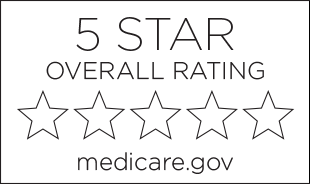 Oak Trace Care and Rehabilitation is a 5-star premier skilled nursing and rehabilitation home in Bessemer, Alabama. For over 25 years, our friendly staff has been providing a combination of specialized therapy services and skilled nursing care in a calm environment. In a small town like Bessemer, you’ll likely know at least a few of our staff who are local to the community. Here at Oak Trace, we let our family take care of your family. Short-term & post-hospital rehabilitation services are offered at Oak Trace Care and Rehabilitation. At Oak Trace Care and Rehabilitation, our goal is to provide the highest quality of rehabilitation and restorative nursing services that will enable each resident to achieve and maintain his or her highest level of function. We strive to provide this care in a warm, homelike and aesthetically pleasing environment that allows us to show dignity for each individual. Each of our residents comes to us with very different and specific rehab needs. Our entire rehabilitation team is committed to creating an individualized therapy program that directly answers those specific needs. A positive and uplifting atmosphere can set the tone for a resident’s stay. We employ outgoing and friendly staff to create social programs and activities. Our social services team assists both residents and their families during transitional periods. 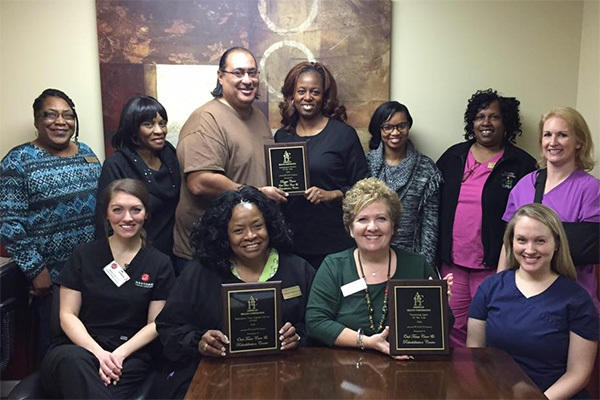 Oak Trace Care and Rehabilitation was honored to be awarded “Alabama’s Best Practice” in 2017.